OK, let's have a bit of fun with the post office shall we? The Serge Savard card on the left is from the 75-76 OPC set, which breaks the ice for me. Only 395 of those 2 go! 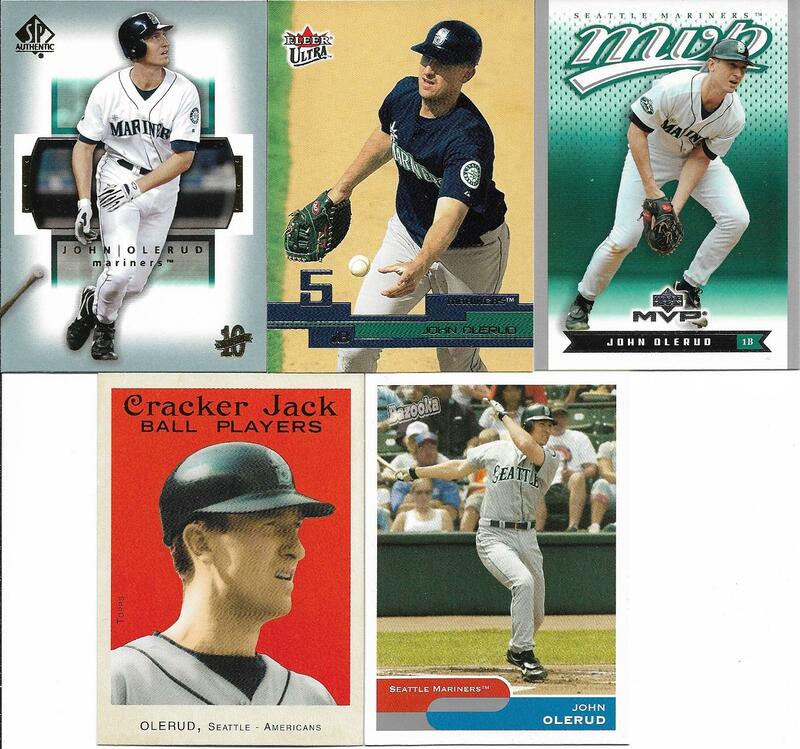 The other 2 are from the 85-86 OPC set, which I now have 10 cards from. Randy Moller in case you were wondering is now the man between the benches on Florida Panthers telecasts where he does a really good job, and is also famous down here for his goal calls on the radio when he was the play by play man for the club. Take a listen, there are some funny ones there. 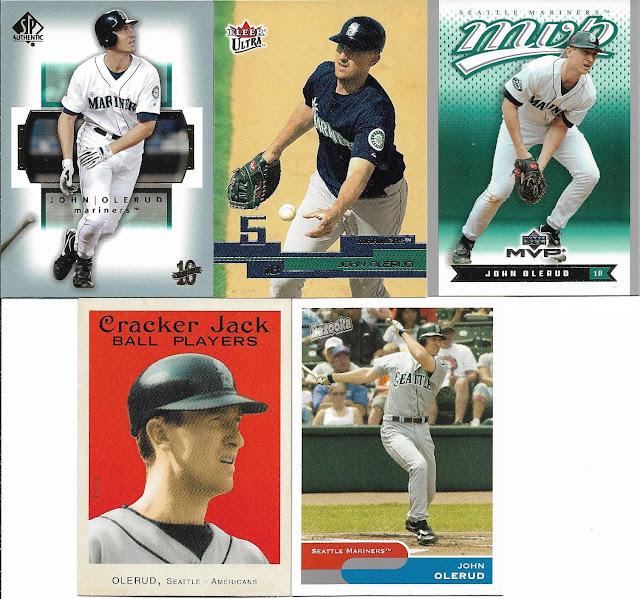 The same day, I received my end of another trade from frequent trade partner Mike (User ID: 49ants) which bumped my John Olerud collection up 5 cards. OK, now all 3 envelopes (these 2 and Dave's from the other day's post) arrived on the same day. Dave and Hugo's packages were shipped December 28th. They arrived January 21st. Mike's envelope arrived the same day, and was delivered to my neighbors house. Thankfully my neighbor is a gentleman and walked it over that evening for me. So, here it is. 2 envelopes from Canada took 24 days to arrive , yes that's 3 and a half weeks. Sorry, but I could have walked there in that time and picked up the packages. Come on USPS, you've done better than this in the past. Also, the prices are brutal to ship to Canada. I mailed a 9 card package and it cost me $10!!! No more packages to Canada I'm afraid. PWE's only going forward to Canada. I ran into the same issues with current trades to Canada. It's not USPS this time, it's the Canadian system. They have been on rolling strikes. I've had a trade goes over a month, a couple go 2+ weeks and some done within a week.